A new report from GTM Research maps the growth of EV charging points around the globe. The rollout of charging infrastructure will vary widely according to geography. 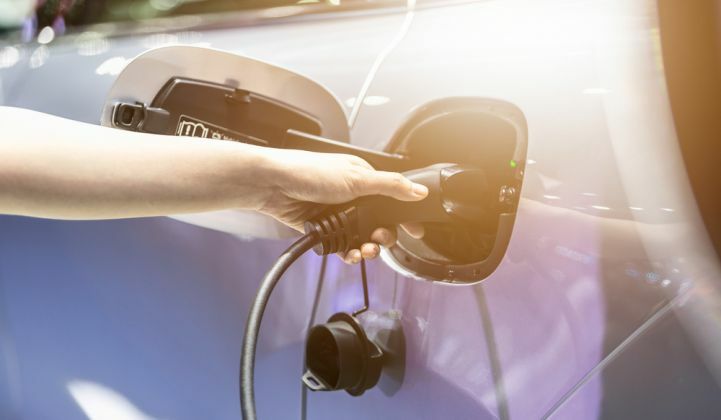 Growth in electric vehicle sales worldwide is expected to boost demand for charging points, with up to 40 million installed by 2030, GTM Research predicts. The analyst firm’s report, EV Charging Infrastructure Development, forecasts that 11 percent of new vehicle sales in 2030 will consist of electric models. However, the rollout of charging infrastructure will vary widely according to geography. The report estimates that 12 million residential charging points and 1.2 million public charging points will be installed in North America by 2030. California will lead the market, thanks to its strong drive toward decarbonization and vehicle electrification. California has already been the catalyst for charging infrastructure up the West Coast to Canada. The East Coast, meanwhile, has been slower to take off but is now seeing increasing levels of activity. Elsewhere, growth is occurring in states like Florida and cities like Austin, Texas. Notably, even some areas in the American Midwest are starting to see vehicle-charging rollout approvals. “There is quite a bit of geographic diversity in the U.S.,” said lead author Timotej Gavrilovic. In Canada, like the U.S., growth so far has been most marked in the more densely populated coastal regions. The interior of the country, where lower population densities have not encouraged EV adoption, could take a while to see charging infrastructure build-outs. Europe is expected to face growth trends similar to the U.S., with an estimated 9 million residential and 1.6 million public charging points set to be in operation by 2030. But beyond the headline figures, Europe’s EV charging markets differ markedly from those in North America. One point of difference is that public administrations have been largely responsible for supporting early infrastructure build-outs. Another is that electric utilities are also more engaged with the vehicle-charging market, by for instance making their own equipment or acquiring companies that are active in this space. The U.K., said Gavrilovic, has seen a good example of cooperation between government, utility and charging network actors to support infrastructure build-outs. Southern European countries, meanwhile, have tended to lag, although there are pockets of growth. An important development in Europe has been the rise of companies that offer EV roaming services, giving users access to multiple charging networks. China’s eye-popping state-sponsored EV charging infrastructure build-out has been well documented. But authorities are now realizing they may have built too much, too soon, said Gavrilovic. “The utilization levels are really low,” he commented. This will likely lead to a trimming of national infrastructure targets, he said. In the meantime, other Asian countries are getting in on the act, with Japan also pursuing an aggressive fast-charging build-out strategy. South Korea has not yet achieved the momentum seen in China or Japan, but is beginning to see increasing activity. Finally, India “is definitely a geography to keep an eye on,” said Gavrilovic, purely because its size and population make it highly likely to experience localized EV growth. North America, Europe and Asia are set to dominate EV charging infrastructure rollouts up to 2030, but there is growing activity across the Southern Hemisphere, too. Quantifying this is challenging due to a lack of data, Gavrilovic said. But in Latin America, for example, Brazil has been piloting the use of infrastructure, and Chile is set to lead growth in the region. Mexico, too, is expected to see some growth in charging infrastructure even though projections of its EV adoption rate remain muted. Africa is even further behind the curve. In Australia, though, there is not only a growing build-out of infrastructure, which now pretty much encircles the country, but also an active equipment manufacturing and installation industry that hopes to target Asian markets. The challenge facing Australia, as in many other parts of the globe, is that while charging infrastructure makes sense in cities, its high cost means there is not much of an incentive to install it in rural areas. “There’s a challenge of geography there,” said Gavrilovic.